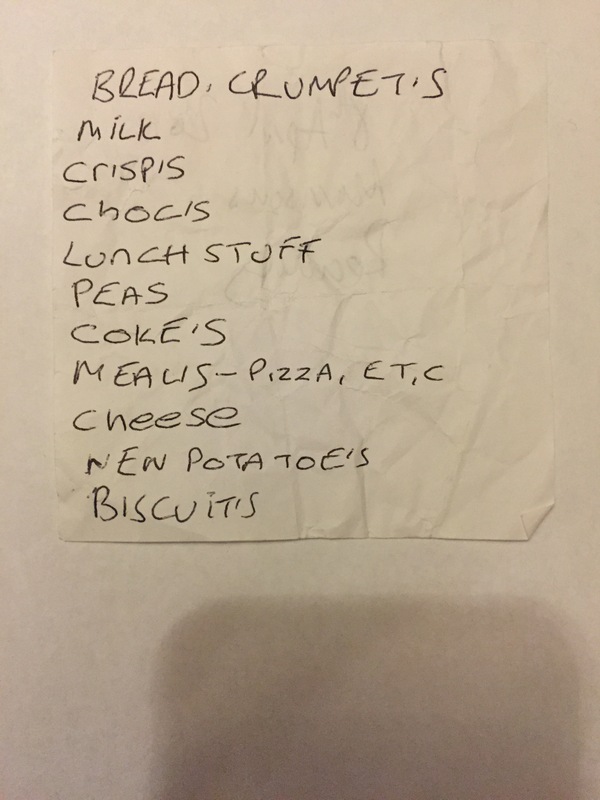 Bread, crumpets, milk, crisps, chocs, lunch stuff, peas, cokes, meals – pizza etc, cheese, new potatoes, biscuits. Note the apostrophes in the plurals. Also a mixture of capitals and lower case.